We have been counted amongst the most trusted names in this domain, engaged in providing Matrix Eon 48S. Intercom System(KTS, EPABX). 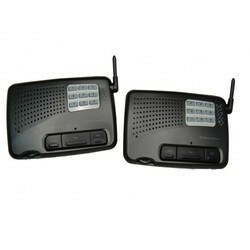 Enriched with long years of experience in the industry, we are engaged in offering of Intercom System. In order to keep pace with never ending demands of customers our company provides Digital Key Telephone System. This Digital Key Telephone System is designed by using sharp edge technology at our vendor’s end. Our product range is available in different specifications according to the requirements of clients. We are presenting an excellent quality assortment of EPABX System. This is the latest communication system, based on micro-processor technology. The EPABX system is a innovative technological marvel and has integration facility with telephone, fax, VOIP, computer connectivity, WLL, Fixed Cellular Terminals etc in one board seamlessly. Display of incoming calls on PC in addition to missed calls and call billing details through serial port. 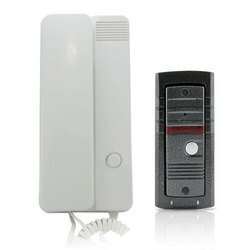 Keeping the diverse requirements of customers in mind, our company offers excellent quality range of Intercom System. This Intercom System is designed by our professionals by using quality material at our vendor’s end. This product is known for its excellent performance and optimum quality. We are amongst the renowned supplier of EPABX System, which are widely appreciated for quality standards. We have emerged as the authorized dealers of Coral Telecom Limited owing to the quality features of our procured range which includes low power consumption, high efficiency and easy installation.